The Buma Boy Edgar Prize, the most prestigious award for jazz and improvised music in the Netherlands, has been awarded to the pianist, keyboard player and composer Jasper van ’t Hof (Enschede, 1947). The news was announced 29 June 2018 at inJazz, the jazz network and showcase event in Rotterdam. As part of the award, van ‘t Hof will curate a concert evening at the BIMHUIS on 6 December 2018. During the occasion, he will be presented with the award, which consists of a cash prize of €12,500 and a sculpture by Jan Wolkers. 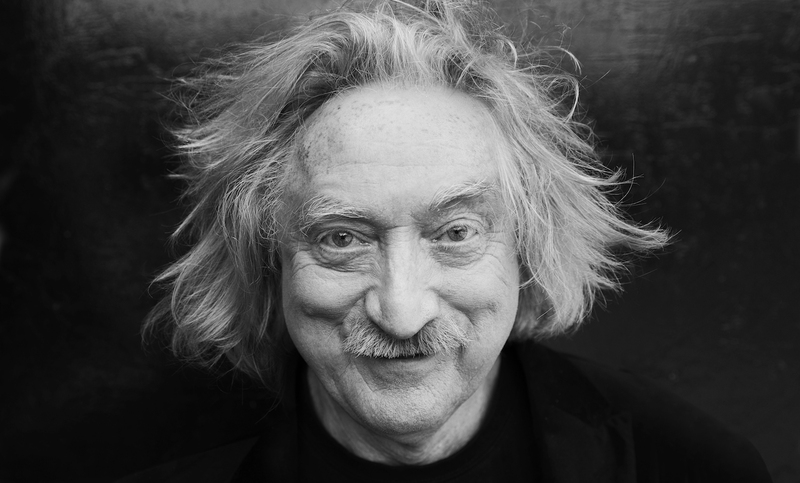 Jasper van ’t Hof (1947) is a pianist and composer. He is widely known for his virtuosic technique on the keyboard, and is one of the most active jazz musicians in Europe. His natural curiosity has seen him become one of the leading innovators in the European jazz scene, on both grand and electric piano, as well as on the synthesizer and church organ. It also enabled him to eschew the restrictions of a single style, allowing him to roam freely between bebop, free jazz, groove, jazz-rock, fusion, pop and world music. He’s been named best jazz pianist in Europe by international jazz magazines on several occasions, and has more than five hundred compositions and almost eighty recordings to his name. Van ’t Hof taught himself to play, and found international fame at the age of 20 with Pierre Courbois’ jazz-rock group Association P.C. He made such an impression that he was invited to play with musicians such as Archie Shepp and join the pool of leading European pianists known as the Piano Conclave (which included such jazz notables as George Grüntz and Keith Jarrett). His collaborations with Charlie Mariano led to the formation of the group Pork Pie, which also included the guitarist Philip Catherine, the drummer Aldo Romano and the double bass player Jean-François Jenny Clark, and the band played to packed houses across Europe. His pioneering spirit led to his innovative fusion of western jazz and African music in the 1980s. Pili Pili, the band that provided the vehicle for this fusion, won him great acclaim for decades, and provided a platform for emerging talent. Jasper van ’t Hof’s schedule as a solo and ensemble performer remains as full as ever, with appearances abroad and, increasingly, right here in the Netherlands. The Buma Boy Edgar Prize is awarded each year to a musician who has long distinguished himself or herself creatively, and in so doing makes, or has made, a valuable contribution to the Dutch jazz and improvised music scene. The award ceremony and its affiliated concert evening is organised by the Boy Edgar Prize Foundation in collaboration with the BIMHUIS. The award was originally initiated in 1963 under the name the Wessel Ilcken Prize, was renamed the Boy Edgar Prize in 1980, and the VPRO Boy Edgar Prize in 1992. It became the Buma Boy Edgar Prize in 2014. Recent winners include Martin Fondse (2017), Wilbert de Joode (2016), Tineke Postma (2015), Jeroen van Vliet (2014) and Oene van Geel (2013). The Buma Boy Edgar Prize is brought to you by the main sponsor Buma Cultuur with support from Sena Performers, BIMHUIS and North Sea Jazz. Media partner VPRO Vrije Geluiden (VPRO Free Sounds) will cover the concert evening and award ceremony on national public radio station NPO Soul & Jazz and www.vrijegeluiden.nl. More information about the award, for Jasper van ‘t Hof’s biography and photographs, the jury’s full report and a list of past winners, you can find elsewhere on this website and also in this PRESSKIT. For further information and interview requests, please contact: Anneke Moors, project coordinator of the Buma Boy Edgar Prize, info@boyedgarprijs.nl / t. + 31 (0)6 28 43 55 42.